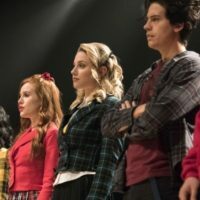 A few months ago we got the news that Riverdale would be working on a second musical episode. The episode would be based on the musical Heathers which is based on the 1989 dark comedy starring Winona Ryder and Christian Slater. The Heathers episode of Riverdale will air tomorrow night (March 20th) and will be available on Netflix the following morning.